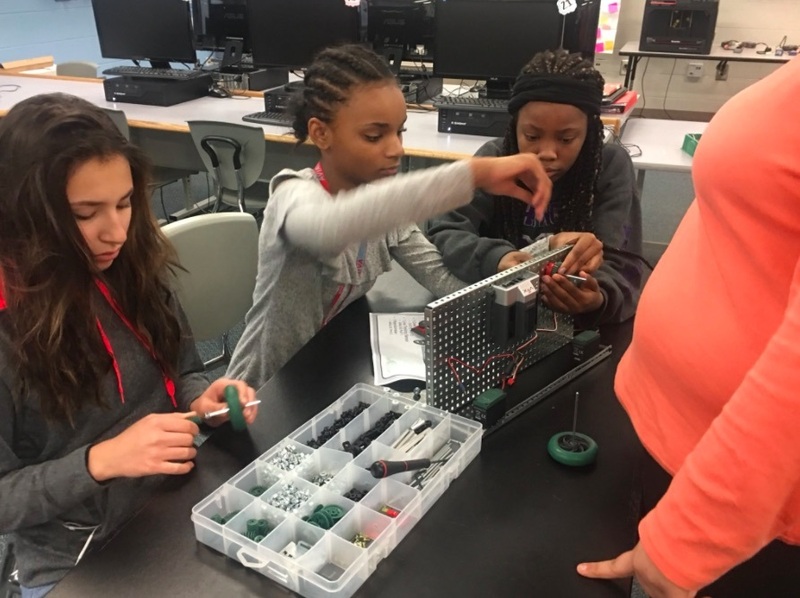 Alliance Middle School Project Lead the Way teacher Juliann Trevorrow started using a new program with her science students this year. Little did she know she and her classes would end the school year with a Statewide recognition for their work with MakerMinded. MakerMinded is an online STEM competition that encourages students to think with and engage science, technology, engineering and math skills in a way that connects them to advanced manufacturing jobs that will need filled in years to come. The online program helps to close the gap between jobs that will be available in advanced manufacturing and the thought process and skills students will need to fill those jobs after graduation. When students complete educational activities online they can register, document and showcase those completed lessons and projects on social media. Schools receive points for completed projects and after May 11, 2018 the winning school in the state is announced. Trevorrow presented the program to Stark County instructional leadership and said she received great feedback. “It was very well-received. The majority of the administrators present wanted to see it implemented in their own buildings and used in their schools,” she said. Out of 89 schools who participate in the program throughout the state, AMS tied for first place in a competition from February 14 to March 14 as the top scoring schools. AMS will receive a sphero robot as a prize which will help students can learn the basics of programming a robot. To date AMS is still in the top four scoring schools in the state. Trevorrow said she started using Maker Minded with students in the science and engineering club and has recently started using it in her classroom. MakerMinded doesn’t add projects or change curriculum of the science program, but Trevorrow said it asks for more student reflection of their learning. 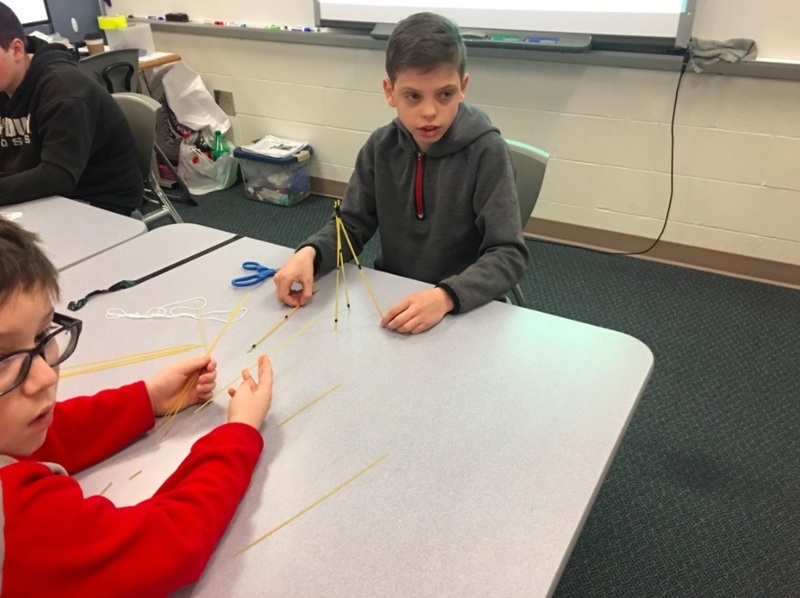 Students have fun making projects and conducting experiments such as building marshmallow towers, designing prototype items as a team, creating a robotic arm, and creating structures that could withstand hurricane winds. Middle School is an important time for students to be thinking about their future. It is estimated that over the next decade 3.5 million manufacturing jobs will be available in the U.S. and about 2 million of them will go unfilled. ACS wants to prepare students for life, college and career and preparing them for a potential advanced manufacturing job is a part of that. MakerMinded is a way to help fill the STEM “skills gap” so that students are equipped for the many opportunities that are ahead of them. Just last week Trevorrow was highlighted in the Ohio Stem Learning Network’s online blog which can be found here. In the article Trevorrow said the school has plans to expand the program in the future. ”The biggest challenge for us is having the time to complete the activities as well as remembering to log the points. In the future, we plan to expand the MakerMinded opportunities for our students by increasing the time allowance within the school day,” she said. Students collaborated to work through a design challenge and create a marshmallow tower.